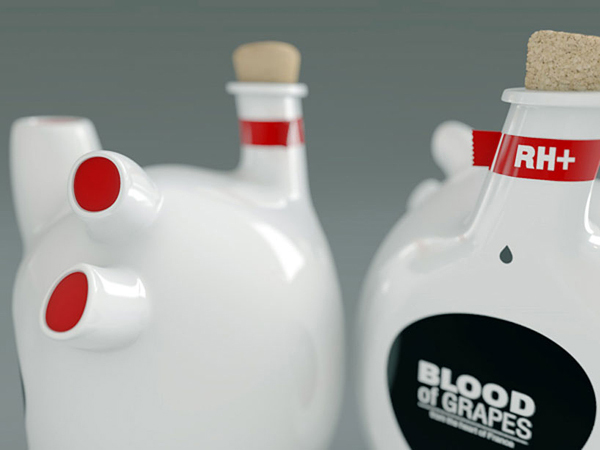 The following creative bottle design created by Belarusian designer Constantin Bolimond is based around the concept of wine as the blood of grapes. The striking form is themed off a human heart to reference the fruit’s origin – France. The product is realized in black and white finishes, featuring a simple inverse typeface to communicate the wine’s label. The design brings a new meaning to the devil’s nectar. Take a look at this bottle as well as on most expensive bottles! Where can I order a bottle?